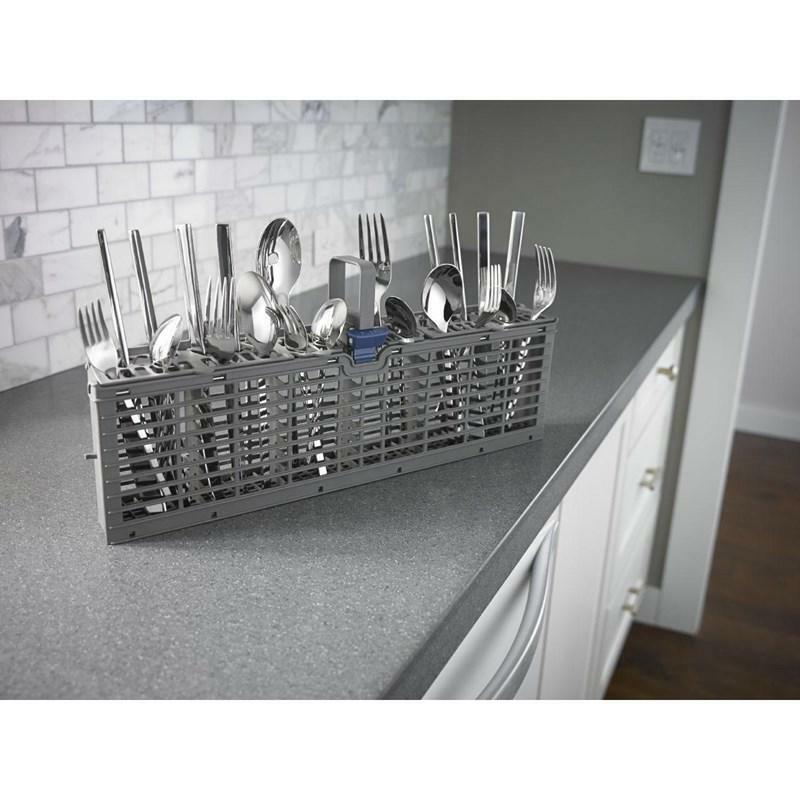 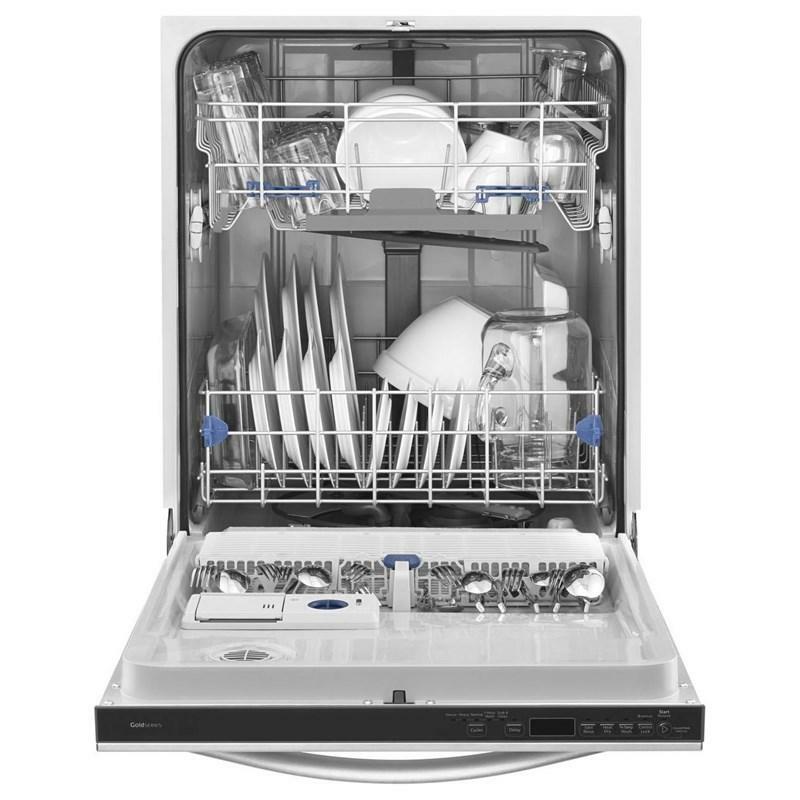 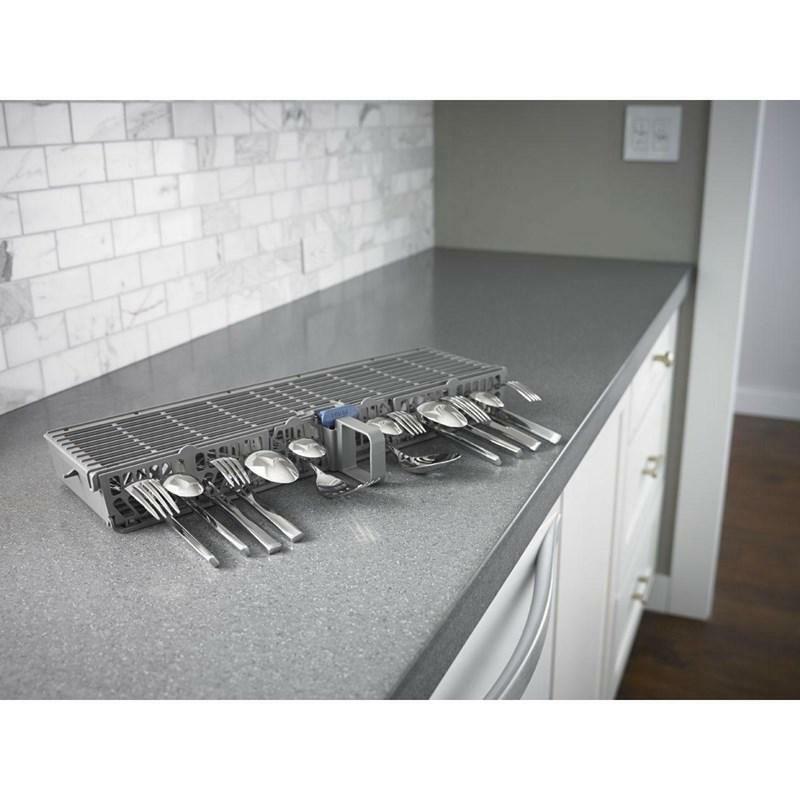 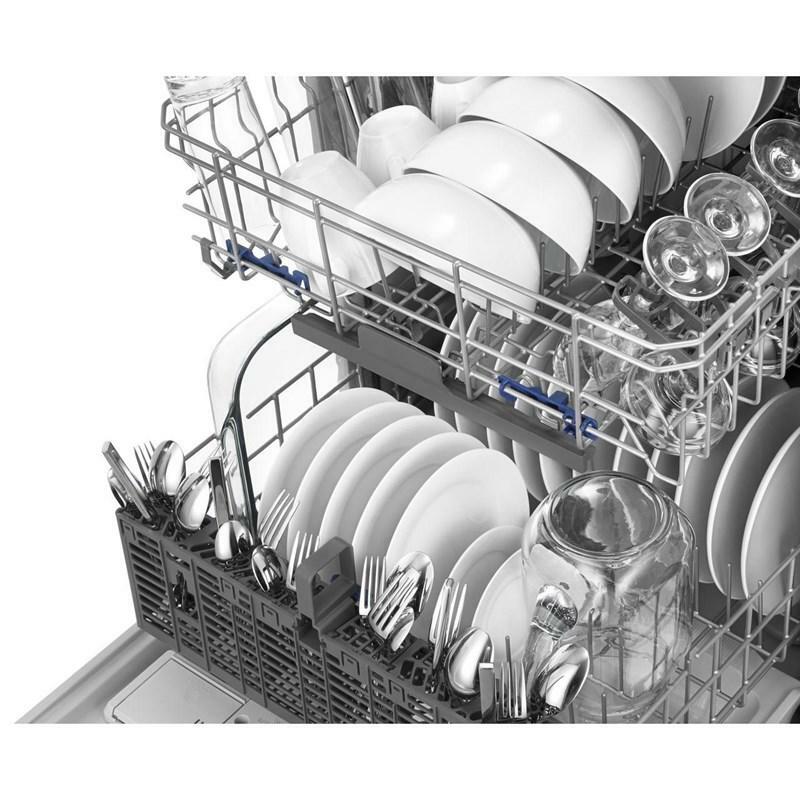 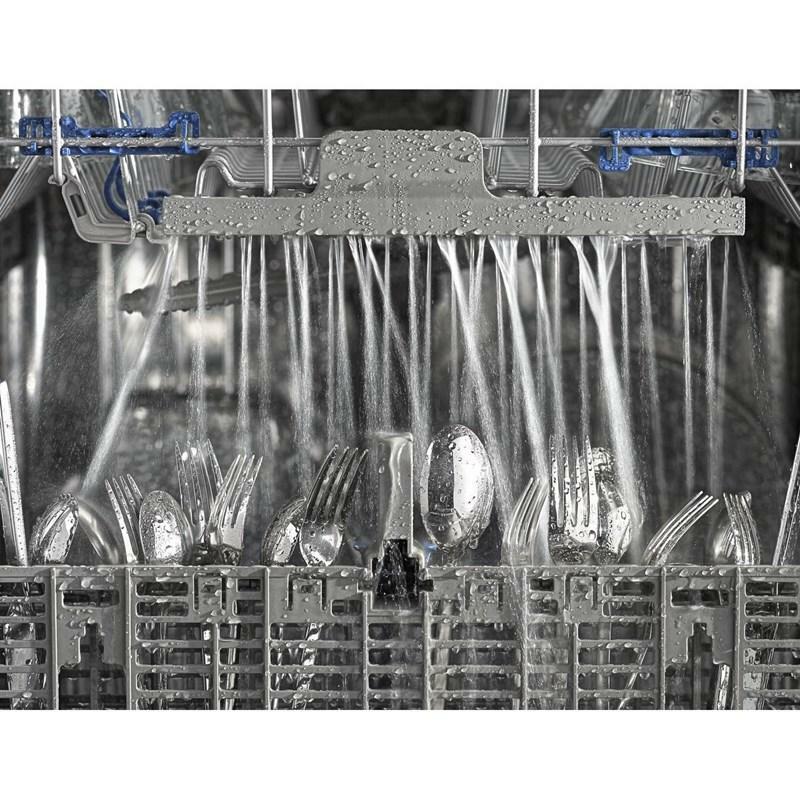 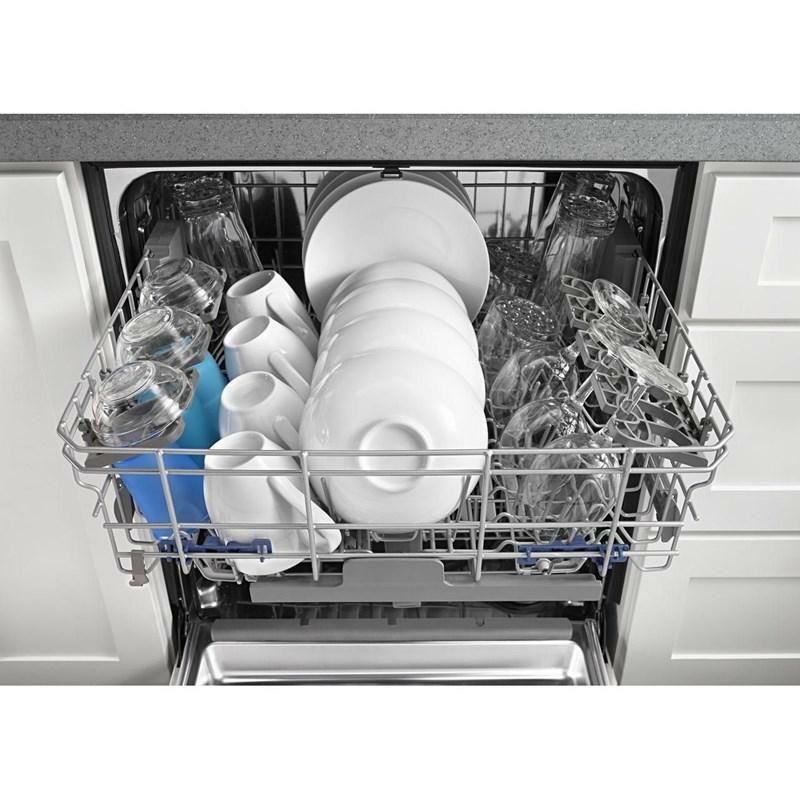 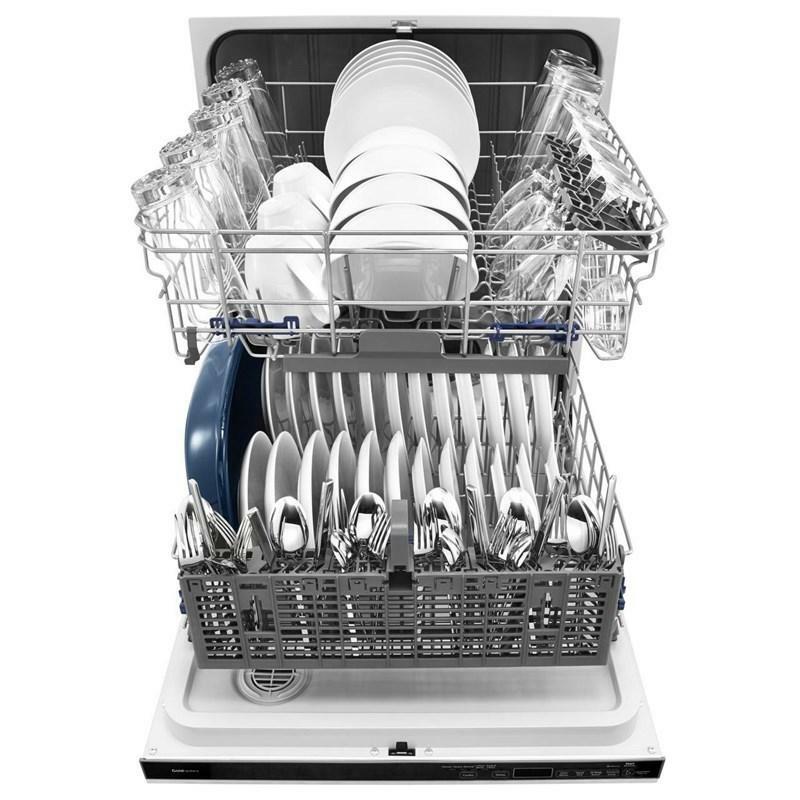 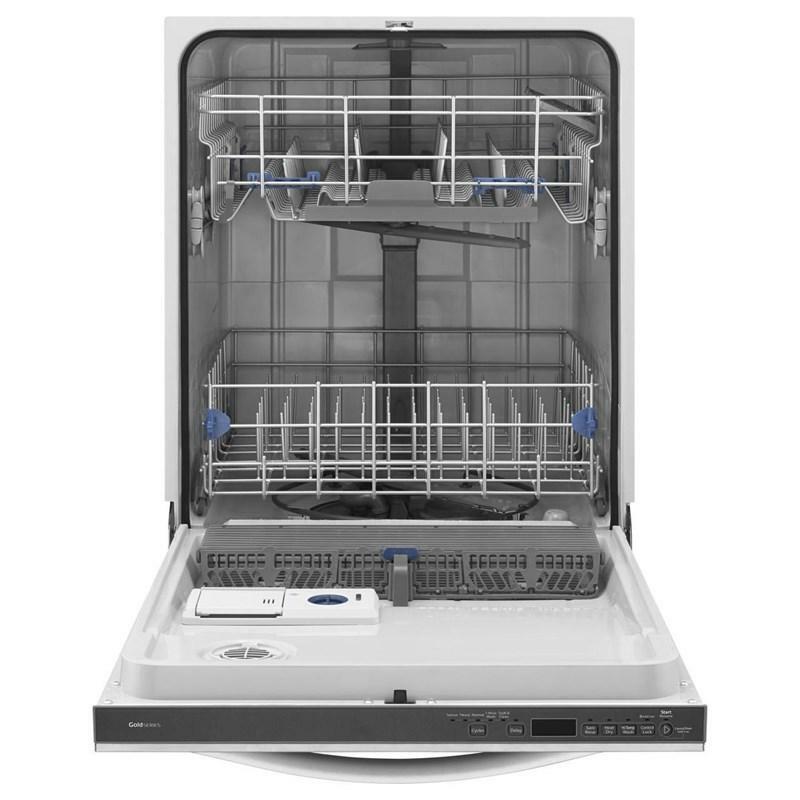 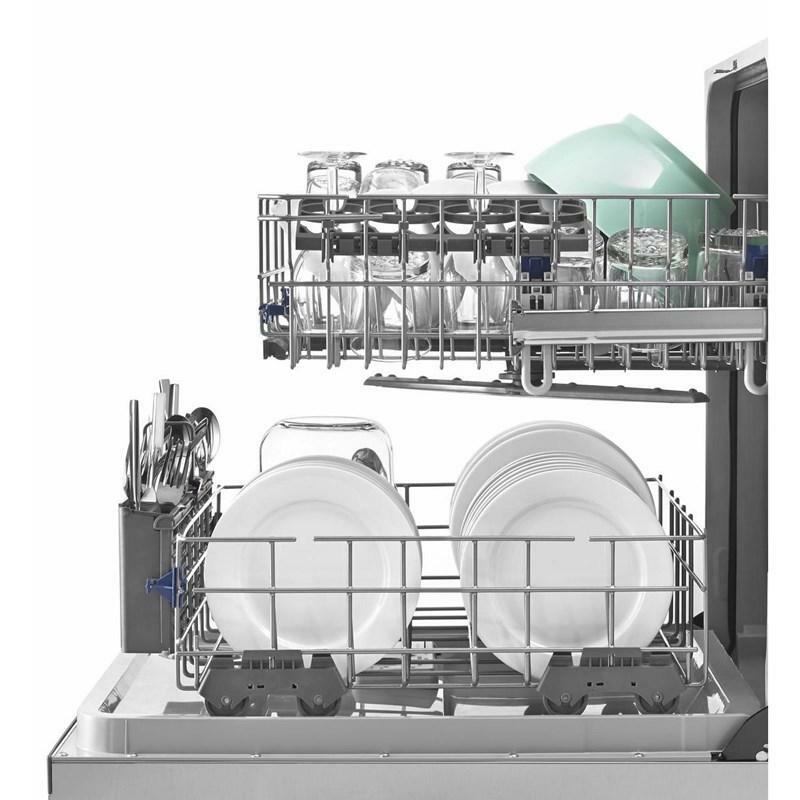 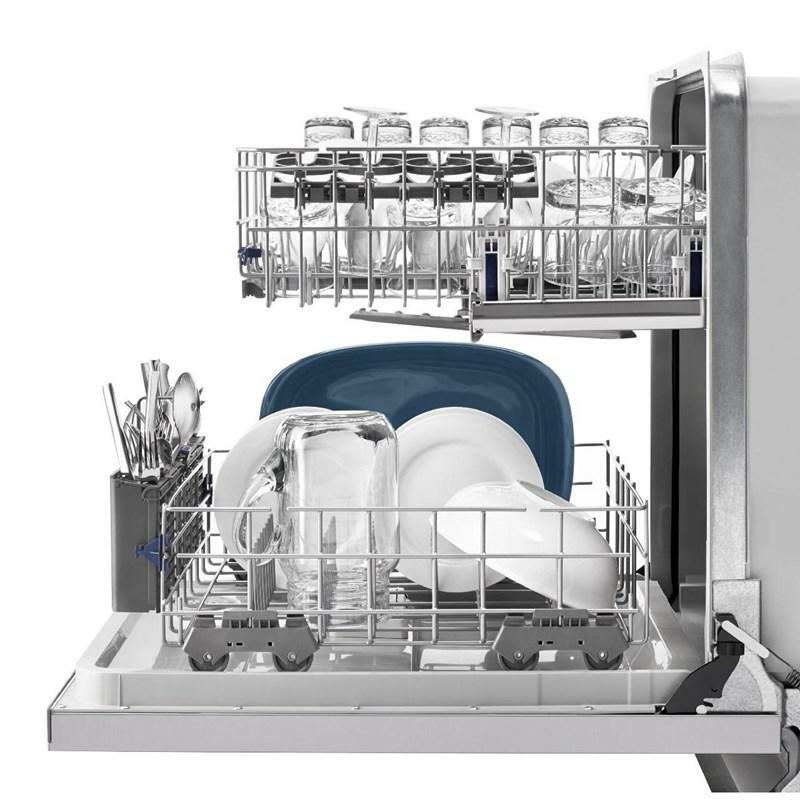 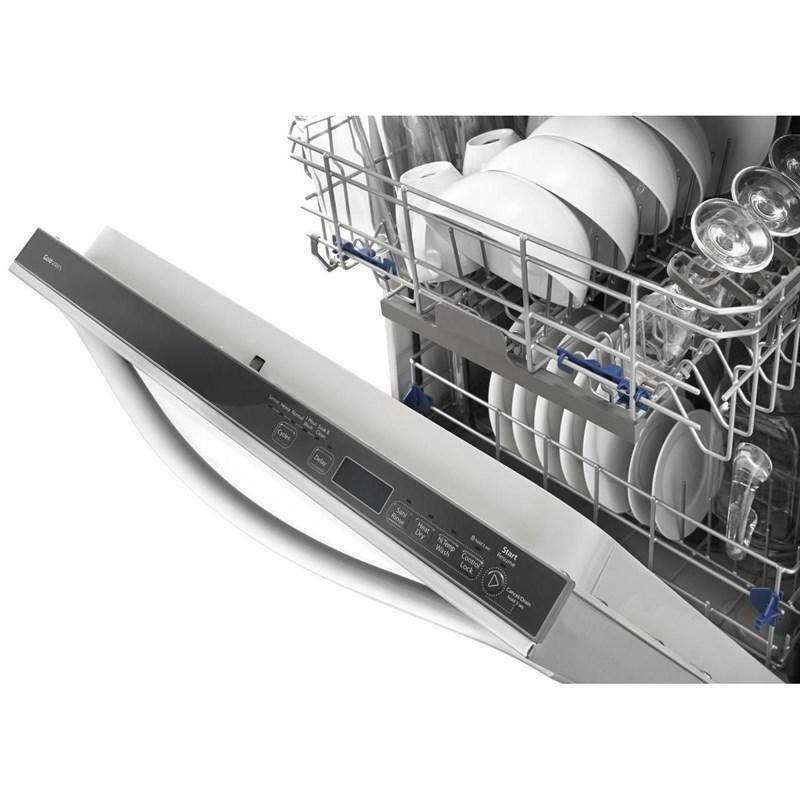 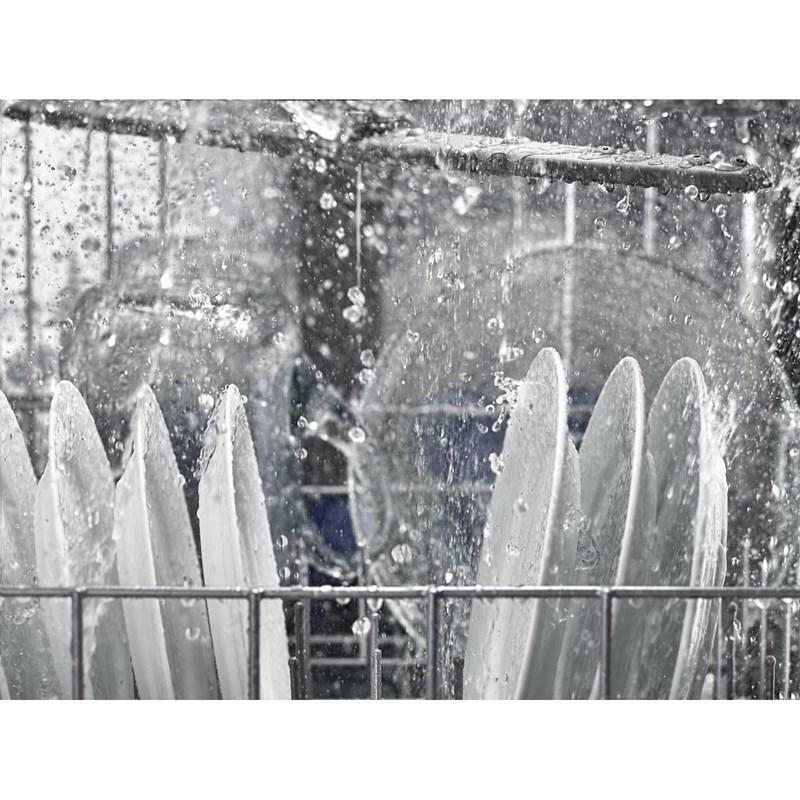 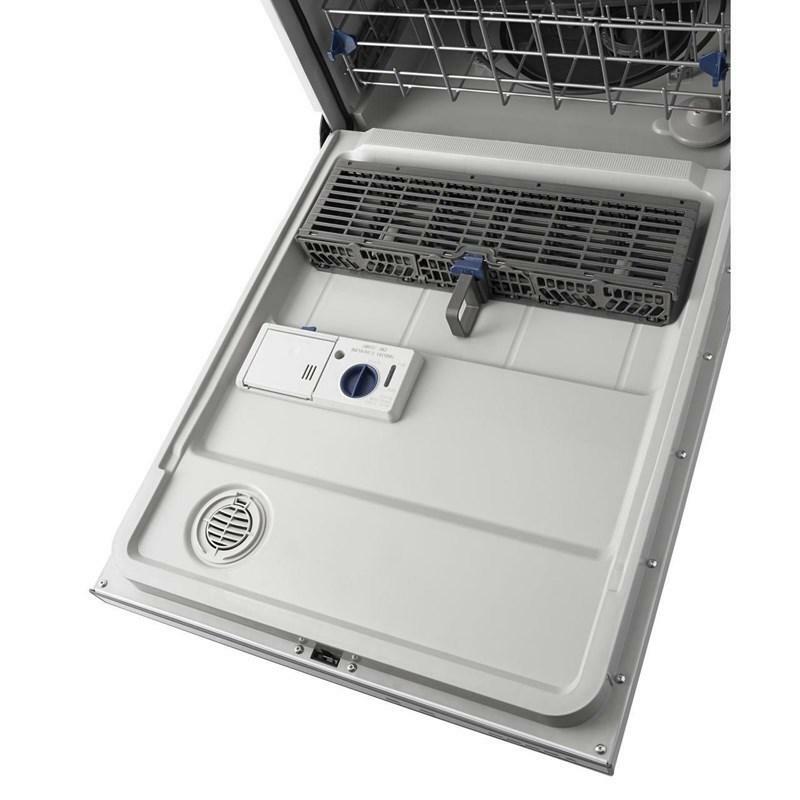 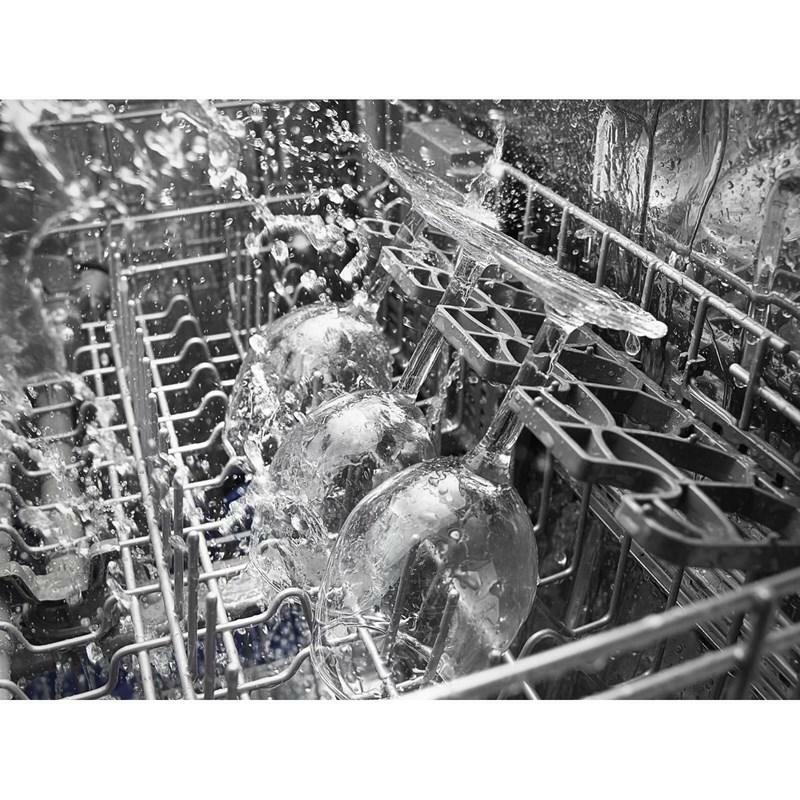 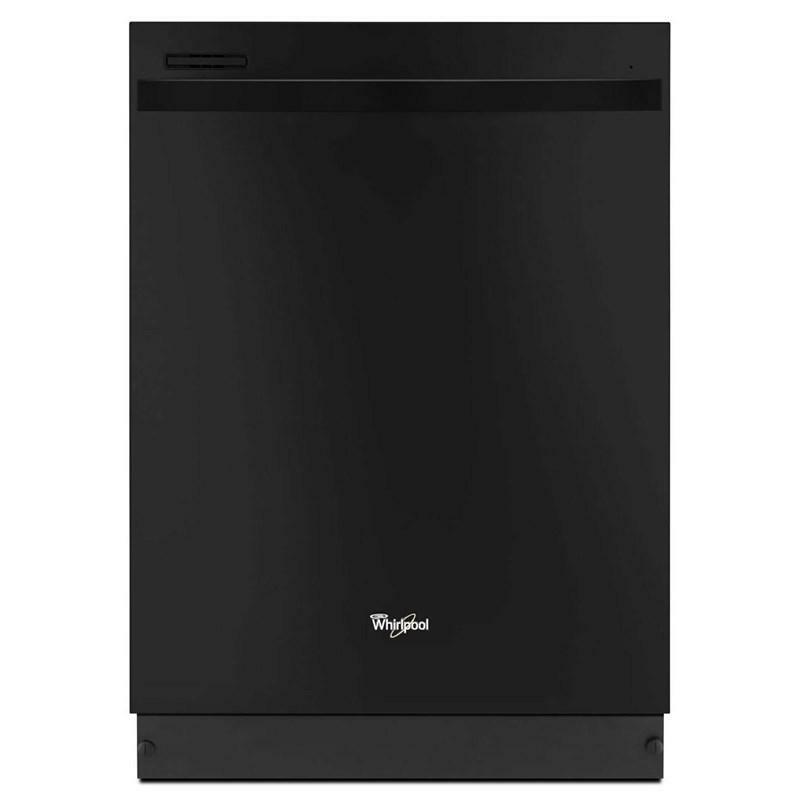 This Whirlpool® dishwasher with silverware spray features a sensor cycle, a 1-hour wash cycle, the AnyWare™ Plus silverware basket and a triple filtration system. 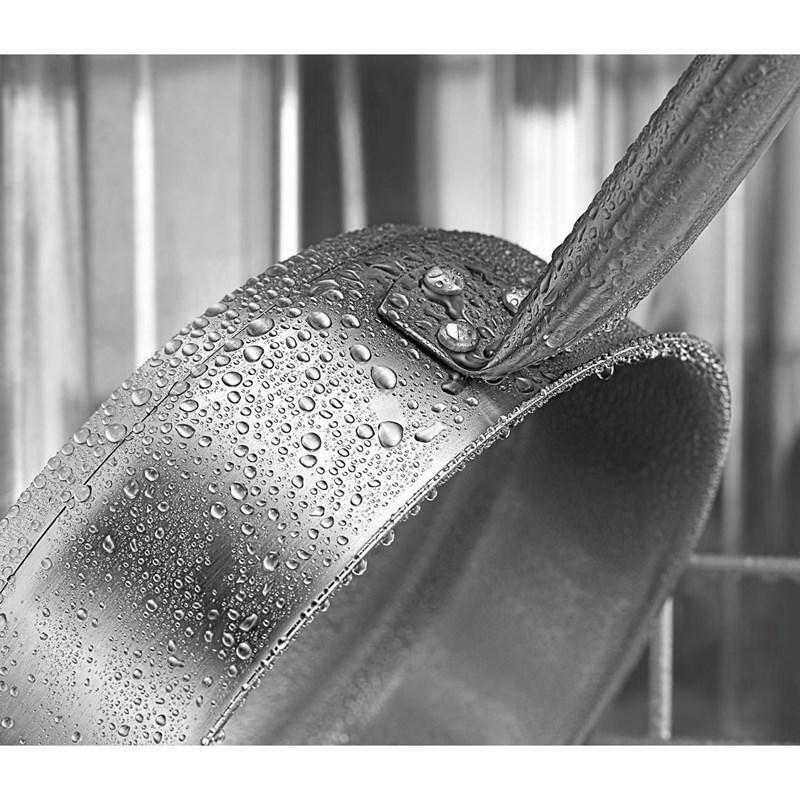 Wash Cycles Sensor wash; Heavy; Normal; 1-Hour wash; Soak and clean. 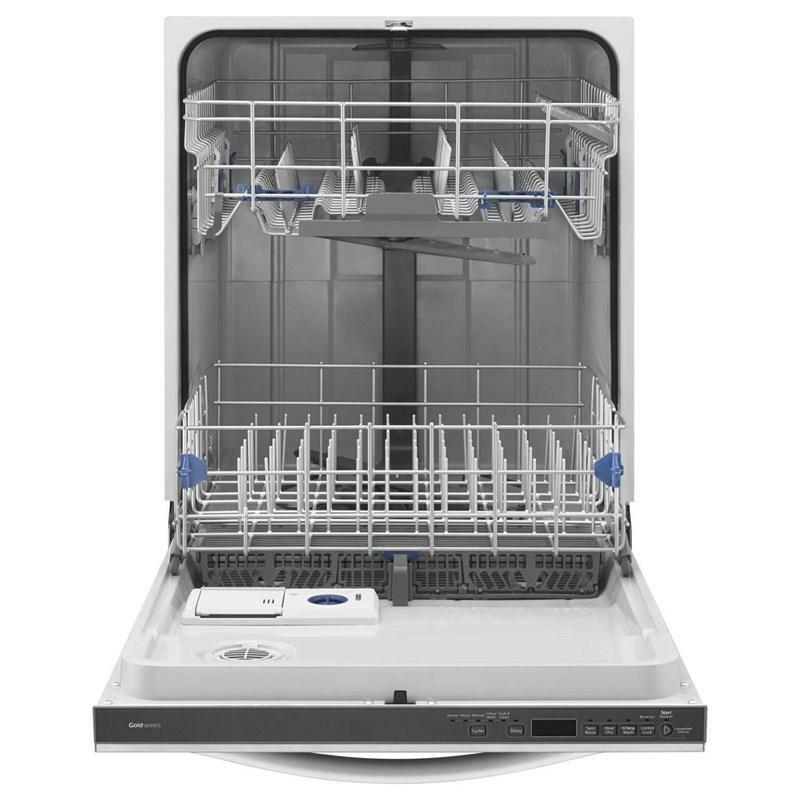 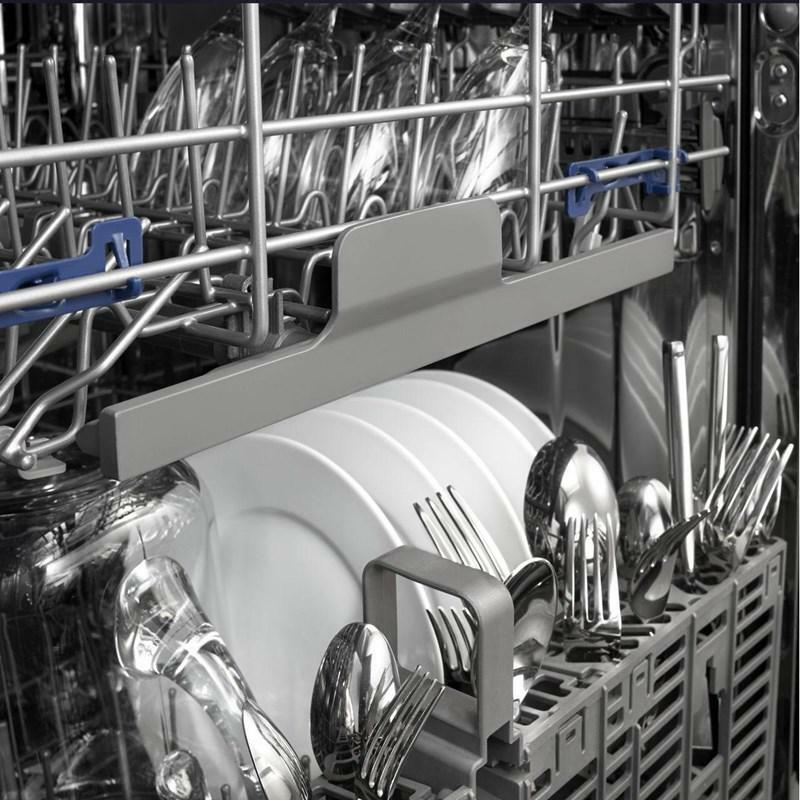 Additional Information Nylon rack; 2 racks; Upper adjustable rack: 2 position; Removable filter; Option selection: heated dry, hi temperature wash, sani rinse; 1-11" cup shelf; 2-no flip clips. 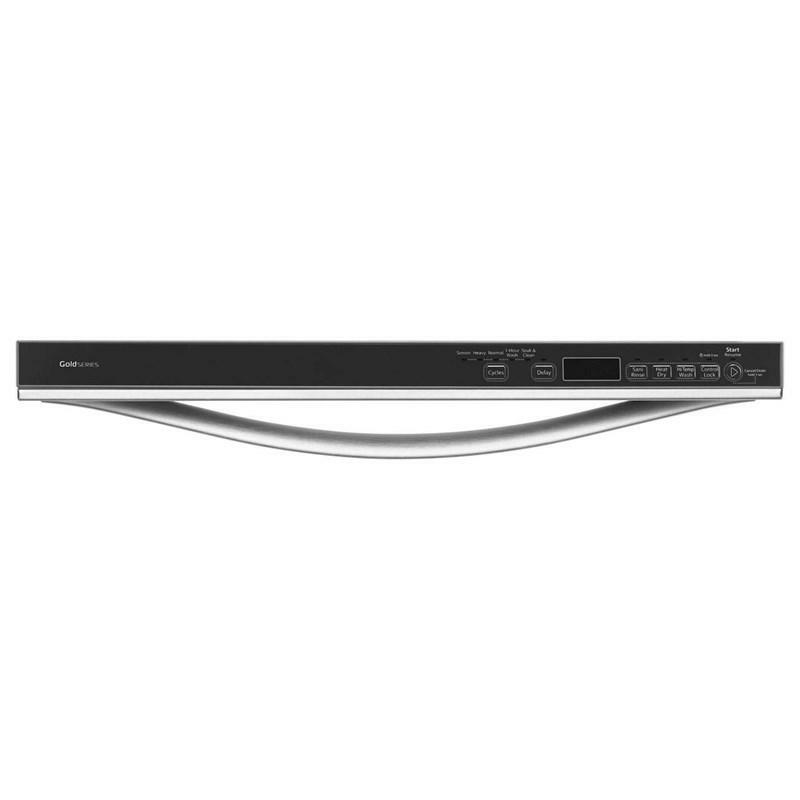 Additional Dimensions Maximum height:	34.5"; Minimum height:	33.5".